Have you heard of Lifi? It is 100 times better than Wifi! Lifi is an new internet connection made by a man named Harald Haas at the University of Edinburgh. It has rumors that it works 100 times better Wifi. If you didn’t know, the fastest Wifi connection you can have is up to 1000 Mbps, so if you times that by 100 you will have 100,000 Mbps. The science group has tested it out in Tallin and Estonia. Some reviews from the people were that as soon as they click on something it instantly came up. The special thing that separates Lifi from Wifi is that it uses LED lights to give off the connection. That is also what makes it so secure because when you install it, the LED lights can only stay in that room. That way you can prevent hackers from hacking your network. It is not out yet because they still have a few kinks to work out, such as how are they going to install it in the house are they going to charge for each room in the house, or for the whole house. The other problem is how much is they are going to charge for the connection. Down below is an picture that shows you how the LED lights are going to work. It shows you the how the light will be from the ceiling. In Hackshop today we are working on Makey Makey. Makey Makey is a program where you can connect the usb port to your computer, and connect the wires to something that includes metal. You can use the makey makey to do a certain amount of things. Those things are to make controllers to play small games like Pac Man, and other arcade games. You can also stick the wires into the bananas, and make a banana keyboard. Today the kids are connecting the Makey Makey to the computer and trying to make controllers to play small arcade games. 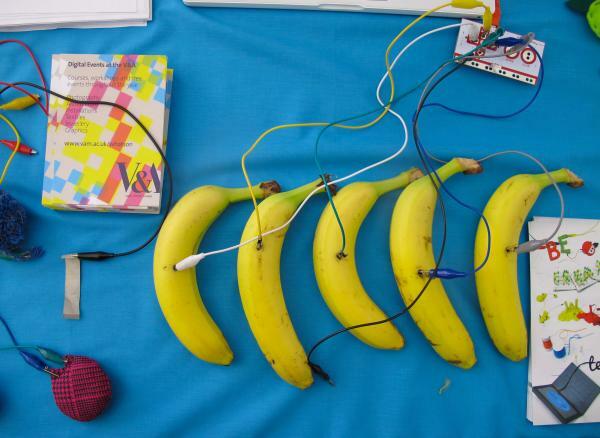 Below are some pictures from Google showing the banana and Pac Man Makey Makey’s. Here is how ours came out when we connected ours to the computer. Today the 8th graders are working on finishing up their Would You Rather pages. First they all had to sketch out how the pages would look, while using Webmaker and bits of coding to make it on their devices. Down below are some of their sketches. Google has already test driven over a million of these cars all over the streets of Mountain View, California, and Austin,Texas. This cars have no drivers in it or a steering wheel, gas and brake. It can hold up to two people and drives approximately at 25 MPH. One person said that they saw the car approach a red light with no driver, and they didn’t think that they were going to stop. When the car got to the red light, it really shocked the couple because it stopped and let people cross the street, and when the light turned green the car casually drove off like any other car. There are a few kinks that needs to be worked out before being available for purchase. One of the biggest kinks that needs to be worked out is the sensors. When one of the cars approaches a four way stop, the sensors started to act crazy because they kept on picking up the other cars on their sensors. The car wouldn’t move until all the other cars around it completely stop. The car has been out since 2009, there have been 16 crashes, mostly fender benders. Google says that every time one of the cars was hit, it would be another human fault. For example on August 20 the Google car was slowing down so it wouldn’t hit a car, then the Google employee manually applied the brakes, and the person behind the car crashed into the back. They would be out for purchase in 2020. I personally think that this Google cars shouldn’t be out in the streets 1for a number of reasons. The main reason is because the systems inside the cars can easily crash or have a glitch. If it is a lot of cars are on the street then it will cause a big commotion throughout the streets. It would be a lot of accidents, and if they are bad enough, deaths. Another reason is because it would hold up a lot of traffic. I say that because the max the car goes is 25 MPH. If it is rush hour and the cars are moving that slow it would hold a lot of people up. If Google wants to solve this problems then they could program it to drive at the speed it is supposed to be. The last main problem I have with this car is that there is no one controlling the car. I think that you cannot depend on technology so much that you will let it drive you around. Me,personally,I can’t depend on technology to drive me around. 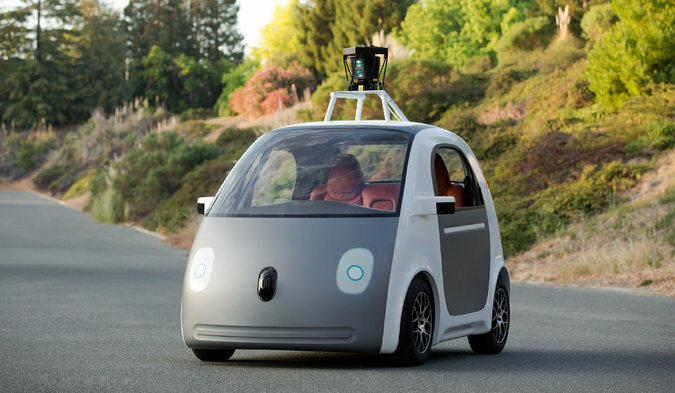 I personally think that this Google cars shouldn’t be out in the streets for a number of reasons. The main reason is because the systems inside the cars can easily crash or have a glitch. If it is a lot of cars on the street then it will cost a big commotion through out the streets. It woul be a lot of accidents and if they are bad enough deaths. Another reason is because it would hold up a lot of traffic. I say that because the max the car goes is 25 MPH, if it is rush hour and the cars are moving that slow it would hold a lot of people up. If Google want to solve this problems then the could program it to drive at the speed it is suppose to be. The last main problem I have with this car is that it is no one controllinng the car. I think that you cannot depend on technology so much were you will let it drive you around, me personally I can’t depend on technology to drive me around.